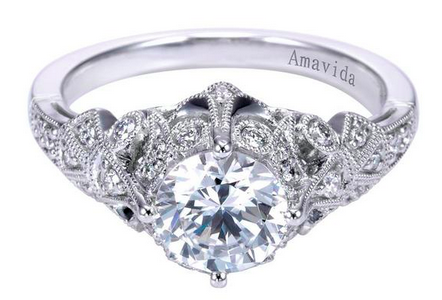 We love to create new designs or to customize engagement rings for each and every person. This creates a unique, one-of-a-kind ring and makes the ring and experience extra special. While educating you on diamonds, we hand pick each and every stone to match your price point to your desired cut, clarity, carat weight, and color. There are many different options for a non-traditional engagement ring and we lay out our favorites for creating unique pieces below. Black diamonds or other precious stones are perfect to create a different look in a ring and this also keeps costs lower than a typical engagement ring. 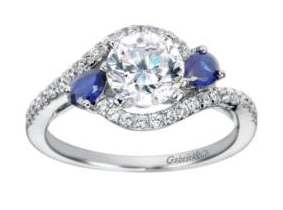 Sapphires or rubies can be used to accent the band of an engagement ring or can even be used as the center stone. Aquamarines can be used in engagement rings to have the same look as diamonds because they can come in very light shades resembling diamonds. Diamonds can have a halo of stones such as sapphires, emeralds or rubies to give the ring a more dramatic feel. 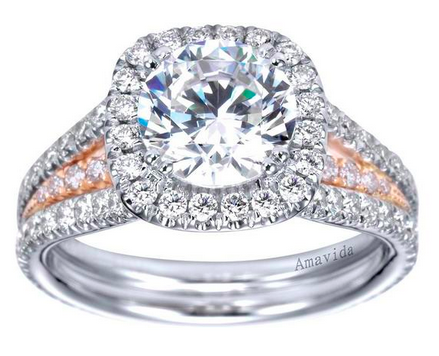 We love this idea because this really makes the diamond pop, unlike a normal halo of diamonds around a diamond. 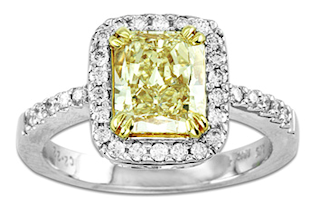 Yellow diamonds can be used in place of a center diamond to create a more dramatic and stylish look. Yellow diamonds aren't traditionally used in engagement rings because of their high price, but they can be affordable in lighter shades of yellow and can add a dramatic look even if the ring is a subtle yellow. Diamonds can also come in pink and blue hues, but are also very rare and expensive. Becoming more popular, mixing metal tones is something that is more popular than ever. Most engagement rings are now offered and made in rose gold, which is a fresh, new take on traditional gold metals. Rose Gold is great for someone who wants to have a fresh take on a traditional setting. 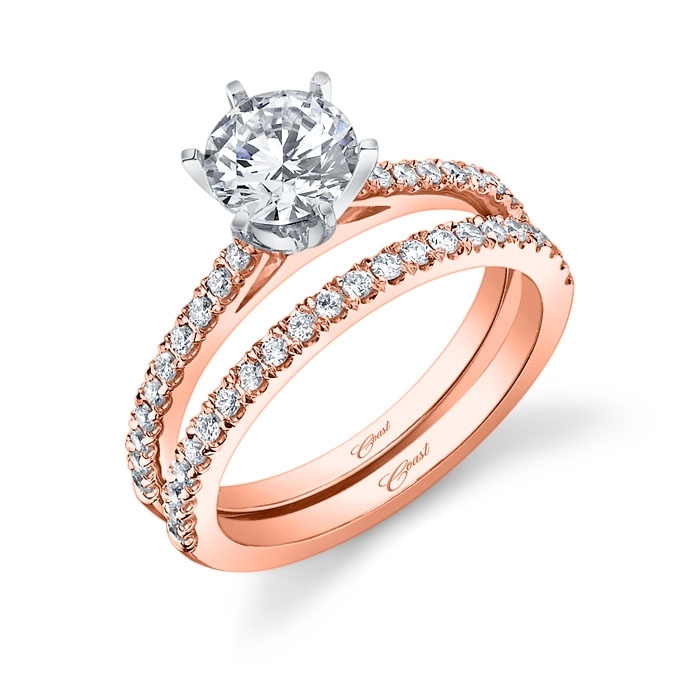 Even adding rose gold to a solitaire ring can make the ring look updated and stylish. Matte golds can be used for a setting giving the ring an aged, antique-type look. Matte gold comes in yellow, rose and white and can accentuate diamonds and precious stones by making them look more sparkly and larger. Antique rings and new rings with antique designs is a way to make an engagement ring pop! With art deco designs and long histories, antique or estate rings can be a perfect engagement ring for a woman who wants a more traditional, and at the same time, unique look. A ring doesn't have to be antique to have the feeling, as more and more companies are offering filigree detailed rings and custom made jewelry can be made to the desired design. Freedman's can help you create your dream ring in any style! Contact us at 617-227-4294 or info@freedmandiamonds.com to set up a complimentary in-person or phone consultation to get started! 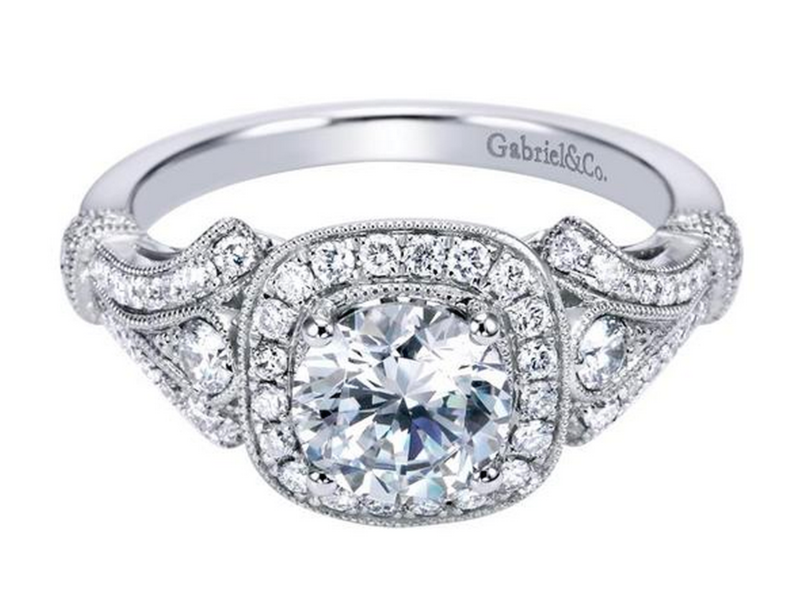 Don't forget to follow our Pinterest page of our favorite Non-Traditional Engagement Rings!